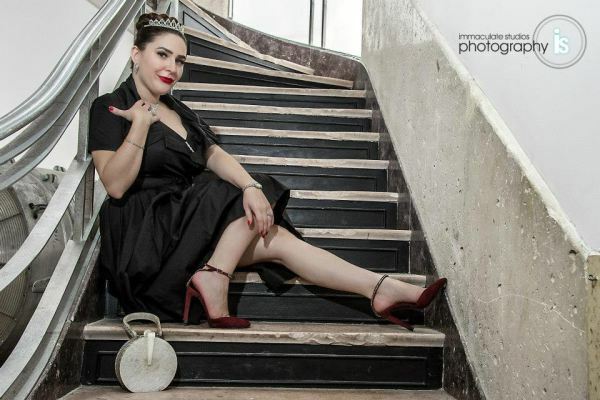 Hailing from Houston, Texas, Al E. Cat is the inaugural Miss Houston Vintage and founder and president of the pinup charity The Benefit Betties. A spicy blend of Cuban and Venezuelan genes, you can find this femme fatale in many publications, including Latina Pinups, Retro Lovely and Pin Up America Magazine. 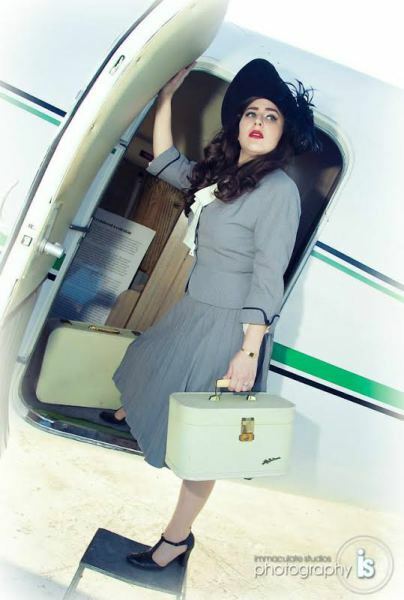 With a bachelor's and master's degree in public relations, you can catch her on many local radio and television broadcasts in Houston, a handful of local films and as well as hitting the stage with local burlesque troupes Dem Damn Dames and Rocket Girl Burlesque. When she isn't working her 9 - 5 for a large energy corporation based in Texas, she is the hostess with the mostess for fashion shows, charity events and more. As a model for many Houston based designers, businesses and organizations, Al E. Cat brings her fiesty Latina personality and sharp wit whether on stage, on film and through her online presence. With a fanatical dedication to all things vintage, a look around her home highlights her love of mid-century modern furniture as well as her love for kitschy kitty knick-knacks. You can regularly find her decked out in vintage from Houston's best including Vida Antigua, Heights Vintage and her favorite, Replay on 19th Street. Want to know what cool things Al E. Cat is up to? Click on the social media links below to see.